IOTA vs Ripple: What are the Differences? Do Both Fullfill a Need? Cryptocurrency is the money of the future, and it will overtake fiat money in terms of huge numbers of transactions. 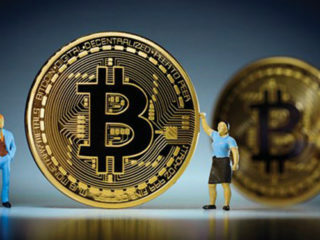 However, it is still too expensive, so people all over the world are looking for good, cheap cryptocurrencies as investments, that will give them huge long-term benefits. There are currently more than 1000 cryptocurrencies. And today, we are going to review two of them: Ripple (XRP) and IOTA (MIOTA). Both of them are altcoins that are trying to become stronger than the top two, Bitcoin and Ethereum. Neither of them are mineable. However, Ripple is more centralized than IOTA. Let’s get started with the comparison: IOTA vs Ripple. IOTA vs XRP: Which One is Better for Investing? IOTA’s main purpose is to provide a platform for business-to-business models in order to improve the availability of each technological resource for real-time exchange on an open market. Whereas, Ripple is quite different. Ripple, or XRP, is used to provide settlement solutions globally to banks in order to facilitate transactions more quickly, at lower fees. However, XRP is not a true cryptocurrency, because it is regulated by the banking industry, while IOTA is controlled by the governments of various countries. Ripple is a real-time gross settlement system (RTGS), currency exchange and remittance network. Also known as the Ripple Transaction Protocol (RTXP). 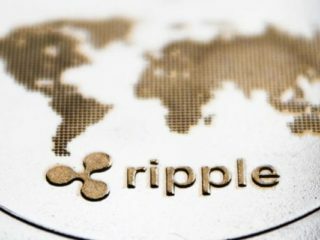 Ripple (the company) wants XRP (cryptocurrency) to be the transactional layer for international/cross-border money transfers. 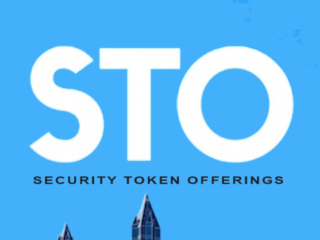 It is an open-source platform that has support for token issuance, crypto assets or fiat transactions. There are 100 billion XRP tokens that were issued by the company. At the moment, the company promises that this is the total number of XRPs that there will ever be (though, technically, there is nothing to stop them from issuing more tokens in the future). Among various problems associated with the current infrastructure for payments, Ripple focuses on addressing a few major ones. The Federal Reserve, Institute of International Finance, and World Trade Organization estimated that the infrastructure costs $1.6 trillion. It is also incredibly slow, with payments taking between three and five days to settle. To make matters worse, there are high failure rates. Ripple comes in response to the demands for an experience that is seamless, cost-effective, and reliable. Ripple is the sole enterprise blockchain solution in the world for global payments. It aims to create a new payment infrastructure that improves reliability and speed while reducing the cost. Ripple’s stated objective is for the blockchain to enable banks and financial institutions to access faster and cheaper cross-border transactions. 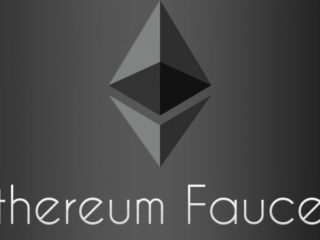 It has a 1500 TPS capability and transactions are settled within 4 seconds. XRP is expected to reduce both the time it takes to settle international money transfers and the cost of carrying out those transactions. It actually transforms the whole landscape in terms of speed and cost. Ripple works by providing a bridge between currencies. Let’s say a bank wished to trade their GBP for an American bank’s USD. With the current system, this takes several days and is costly. While Ripple works by introducing a central currency, XRP. In other words, instead of directly trading GBP for USD, the UK bank would trade GBP for XRP and then trade XRP for USD. RippleNet is the network behind Ripple, connecting payment providers, banks, corporations, and digital asset exchanges. It delivers a single frictionless experience that lets you send and receive money globally. RippleNet provides connectivity across various payment networks with instant settlement on demand. There is always certainty, as you can trace the funds in real-time. To top it off, it has low operational costs and low liquidity costs. The main competitor of XRP is the SWIFT system, which now makes cross-border money transfers. The use of Ripple technology will reduce the cost of transfers by 30%. When using XRP currency technology in cross-border transfers, their cost will decrease by 60%. The time at which a cross-border money transfer is currently being made with the SWIFT classic is 3-5 days. A transfer made through Ripple technology drastically reduces the money transfer time. Such a transfer takes 4 seconds. For this area, this represents a real revolution. IOTA is designed for the Internet of Things. Undoubtedly, this is a field of the future we are approaching with rapid steps. A future in which a lot of home appliances – and not only those – will be connected to one another through IOTA technology. The Internet of Things refers to a network of devices that can be connected to each other and/or the Internet such that they can store and exchange data for the benefit of society and, implicitly, of the planet. Sounds really fascinating. Its revolutionary technology is the Tangle. The IOTA Tangle system is a blockless Quantum-resistant network that operates as a Directed Acyclic Graph (DAG). 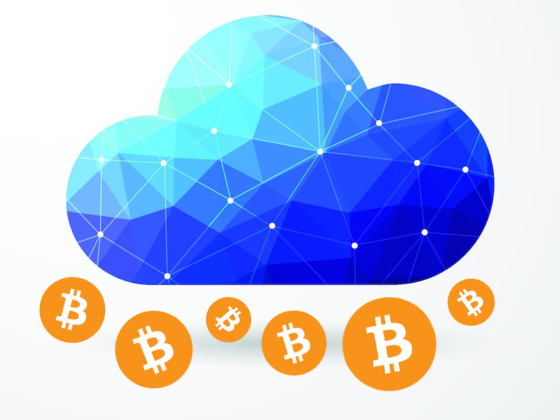 It is decentralized and doesn’t rely on either mining or staking, but on the “transactors”, the users on the network. The main objective of the IOTA project is to enable an ecosystem where IoT will be the driving force of Machine-to-Machine economies around the globe. The one thing that makes the IOTA coin so appealing is the lack of fees and a network that gets better with use, meaning the more activity, the faster the network becomes. This makes the system have limitless scalability – a critical element in the race for mass adoption. Ripple’s popularity and success is increasing at an unbelievable rate. It is almost as if there are no other altcoins on the market. Entering partnerships and various collaborations is something that is necessary for the altcoin. Company is already in partnership with such big industry players as MoneyGram, Western Union, LianLian International and SBI Holdings. According to Ripple’s CEO, Brad Garlinghouse, if things keep going the way they are now, company might enter partnerships with more than half of the biggest banks around the world within the next five years. According to reports, the remittance companies that are planning to partner themselves with Ripple include RationalFX, MoneyMatch, FairFX, UniPAY, and Exchange4Free. IOTA is an ambitious project aiming to connect the world of electronic devices via the IoT. They hope to win the support of companies and form partnerships in order to make all products connected through the Tangle. The most notable IOTA partnerships include the huge deals with Bosch, Volkswagen, Tesla and Fujitsu. And it will be really huge if the speculation about an IOTA partnership with Microsoft turns to be real. IOTA uses the Tangle ledger, which means it is secure from being hacked, or destroying encryption keys from bank accounts. However, according to experts’ opinion, XRP has an incredibly bright future and will provide a platform to connect banks around the globe. But, if we talk about the market, then a huge amount of XRP is being held in escrow by big banking sectors. Now the question is, what will be the future price of both. One of the biggest factors of IOTA’s success is that it doesn’t run on any blockchain network. So, if we consider future perspectives, then it has a big advantage over every other cryptocurrency. Then again, it might be too early to make predictions. While most of the cryptos went down including Bitcoin, only XRP has shown potential to stand still or increase day by day. With almost 250% growth in 2016-2017 XRP is looking rock solid and according to market experts, XRP has huge potential to reach new heights in upcoming days. 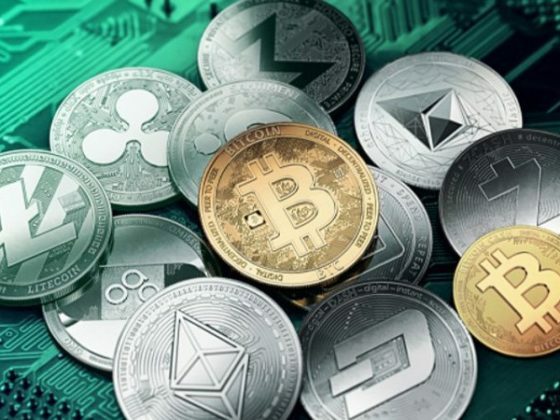 If you have already learned enough information about the above mentioned altcoins and have made your mind on which one is the best investment option, you are probably interested in where you can buy those coins. Just a reminder, you can buy one of them, but you cannot exchange XRP for IOTA or vice versa at the moment. Both coins are listed on some of the major trading platforms like Binance, Bitfinex, and Bittrex. However, they haven’t made it to Coinbase yet, the US market’s biggest exchange. IOTA is a comparatively new coin and is not widespread yet, but you can check our article to find the exchanges where you can buy IOTA. Or if you think that XRP has the better potential for investment this year, follow our guide on how to buy XRP in the US. As you can see, both coins are not direct competitors in the same market segment. IOTA is a young currency that is in the early stages of development using the unique Tangle technology and focused on the IoT. While XRP is a currency that is in the final stage of development. More precisely, the money transfer technology is in the testing phase. However, in terms of investment, both coins have good potential in 2018. IOTA vs Ethereum: What are the Differences? Do Both Fullfill a Need? Is Ripple Worth Buying in 2019? 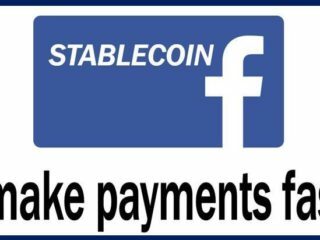 What is Facebook Stablecoin for WhatsApp? 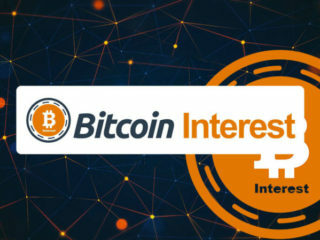 How to Earn Interest on Bitcoin? 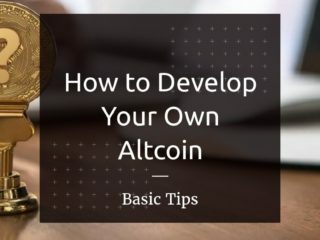 How to Start Your Own Altcoin Or Cryptocurrency? 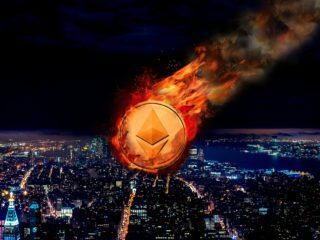 How Low Will ETH Go and Why is Ethereum Falling?